Public Relations is defined as “The planned and sustained effort to establish and maintain goodwill and mutual understanding between an organisation and its publics” (IPR). Although this sounds a little cryptic, what it really means is promoting a positive image of your company to the world – customers, potential customers, employees, the media, suppliers and the list goes on! The idea of public relations is enhancing the corporate reputation, rather than to directly drive sales, but of course the better your reputation and the more trust you have from your target market, the easier it is to attract sales. Public Relations is very different from advertising, as you cannot take total control of the message you are putting out. This makes many companies worried about using it, as they feel the press will distort their message, or an event could go wrong and leave the public feeling negative about them. Of course these are all possible outcomes, but with the right skills, good relationships with the press and excellent organisation, you can work these things to your advantage. A huge benefit of PR over advertising is that the public regard it as impartial and carrying the weight of the media it is in, or the person who is interpreting your message, so it can be very powerful. They say that the value of PR is up to 10 times more than the advertising value for the space! Public Relations is a very powerful force as it is much more subtle than advertising and consumers respond very differently to it. Many consumers actively avoid advertising messages, but would be delighted to attend a festival organized by a company and would be very open to the branding and the company message. This works on the subconscious level and when they receive future marketing materials they will be much more susceptible to the message. If you would like support with PR Costa del Sol we are here to help. Shaw Marketing Services will bring years of PR & Marketing experience, knowledge and press contacts to your company. 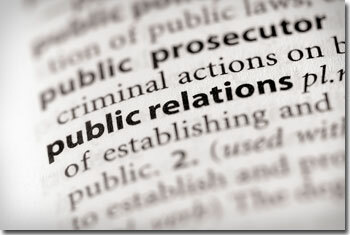 Together we can create the best PR Campaign to achieve your company’s objectives. Please email info@shawmarketingservices.com to find out how we can help you.